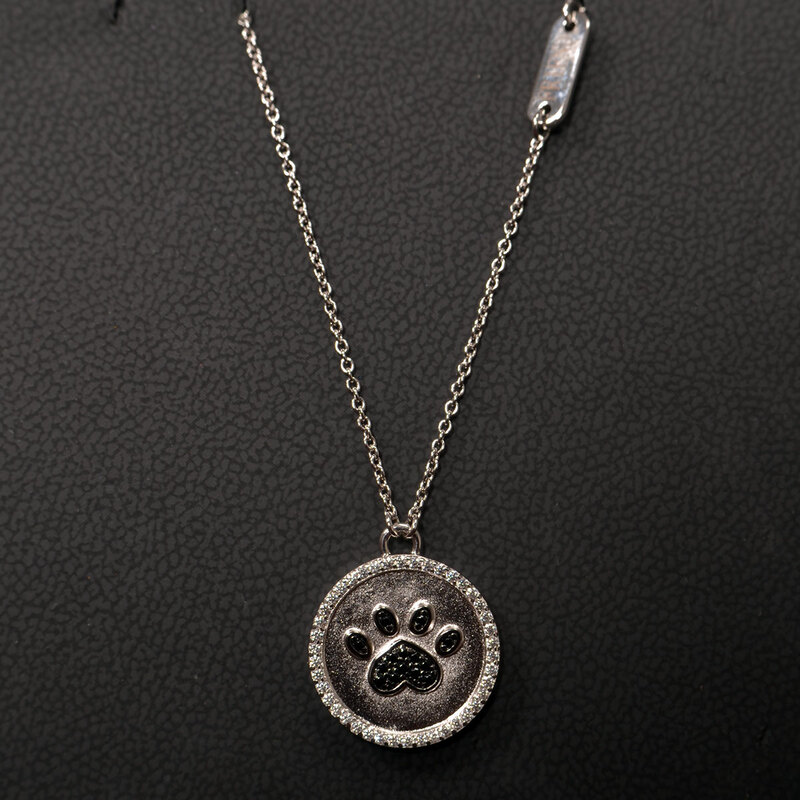 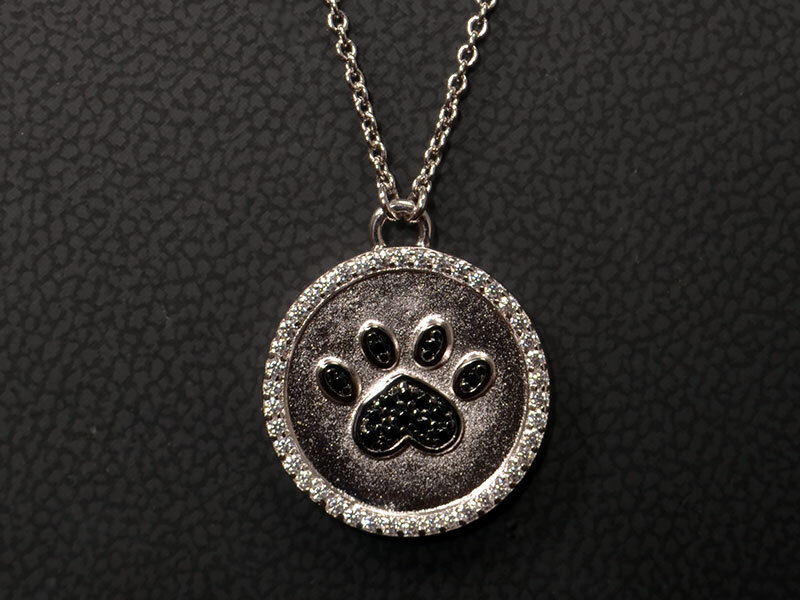 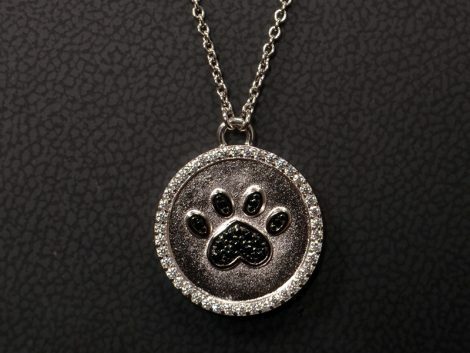 Pet lovers, own this sterling silver with black paw pendant with cubic zirconium. 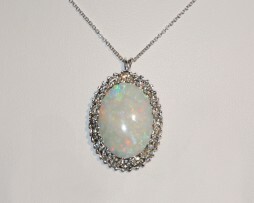 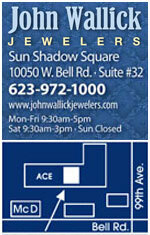 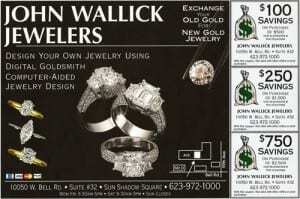 John Wallick Jewelers: White Gold Pendant Necklace. 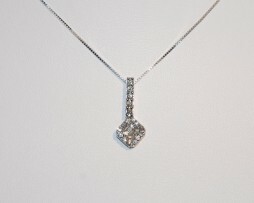 Lady’s 14kt white gold pendant containing 0.37 carats of diamonds. 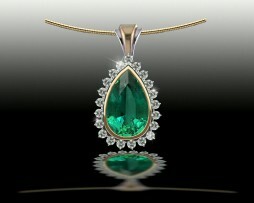 Diamonds are H color and SI-1 clarity. 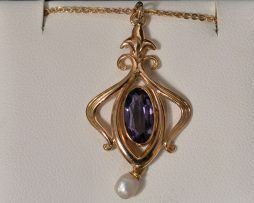 Priced at $1,000.00.